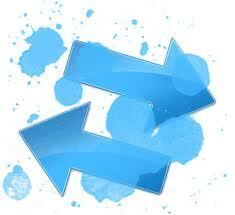 In Web 2.0 this means that really simplicity is the name, and doing more with less is the game. Whilst making sure that the business models are scaled as well as their assisting technologies that implement them. One can produce a cost effective solution if the amount of resources required to make them are reduced to the smallest possible amount or degree. A very good example of Web 2.0 application that I can relate to the pattern is my favourite online storage service—Windows Live SkyDrive, a part of Microsoft’s Windows Live family of Web 2.0-style online offerings. You receive 25GB of free Windows Live SkyDrive online storage (although individual files can be no bigger than 50MB each), and you can store any type of file to a Private, Public, or Shared folder. With your Windows Live SkyDrive log-in name and password, no one except you can access Private folders; anyone on the internet can view your Public folders, but only people you invite can see Shared folders. You can restrict invitees’ access to certain Shared folders or grant them Contributor status for viewing, adding, modifying, and deleting items in a folder. I tried sending invites first to those who already have a Microsoft username and password before they can access a Windows Live SkyDrive Shared folder. Another good thing is that there will be no problem if they use Hotmail or Windows Messenger, or otherwise have an MSN or Windows Live ID. The last time I checked Microsoft promised that a future release of the service will support sharing folders with users who don’t have any Microsoft account, but I’m not sure if that has already been fulfilled. I know there’s Dropbox, XDrive and Streamload already around though but what sets SkyDrive apart from them is the fact that it is already tied with my own primary email at Live MSN. However, it does fall short with some features offered by the aforementioned like allowing you to stream stored audio files and perform automated backups and lets you synchronize data between two computers. On a more personal note, amidst all the blogging for Web 2.0, I felt to myself like I was a town crier in my old home town back in the Philippines constantly spreading announcements, proclamations and what not. But most of what will remain from me now after a semester of academic requirements doing Web 2.0 Applications is this blog that will serve as a chronicler of events capturing memoires of my learning; I feel this one would be handy at some point if I try to recount on what I have demonstrated as a vanguard of ubiquitous computing. Lastly, writing for Web 2.0 is a great practice to incorporate into my article-writing ritual because it allows me to get my articles higher up on the search results—thus, a “Long Tail” effect (thanks to tags) and it’s good to be in front of the people who are ready for some action. The fact that you’ve read to the end of this entire document and are hanging out with me at the bottom of this page, I’ll have to say thank you truly it was a splendid adventure, but my journey has just begun! And since I don’t want you to be in the same dilemma of deciding what is “heads” and “tails” on a given coin (it’s not always easy), I might as well keep on tossing it. Television is a good example of this: Chris Anderson defines Long Tail TV in the context of “content that is not available through traditional distribution channels but could nevertheless find an audience.” So those, whose independent contents could not— for economic reasons— find a place in the TV distribution channels as it is controlled by expensive advertisements costs, will resort to other mass medium. Thus, the advent of services offered by YouTube opens up the opportunity for niche content to reach the right audiences. YouTube where thousands of diverse videos— whose content, production value or lack of popularity make them inappropriate for traditional television— now make independent contents easily accessible to a wide range of viewers. These may not always attract the highest level of viewership, but their business distribution models make that of less importance. Will beta services perpetually flicker? Before going deeper to Greek letters and what not, allow me to quickly share with you the reason why I decided to take up information technology as a field of study. It was primarily because of the fact that (well other than hopefully getting a decent job) I have loved the idea of staying apprised of latest developments in the I.T. world. But I used to feel though that some releases by software developers were just a part of cynical marketing tactics. Could this be true? Probably not, but nonetheless it’s about time we get to the Greek part! 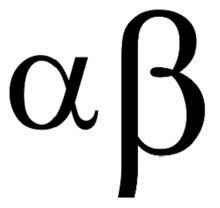 My Concise Oxford English Dictionary, which has a ubiquitous presence in my room, defines “Alpha” and “Beta” as the first two characters of the Greek alphabet. So how these Greek terms landed in the world of software development was presumably because they refer to the first and second rounds of software testing. In layman’s term, say if you are a big organisation and you badly want your customers to really engage to your business, product/service, or whatever project have you, you need to also allow them as human beings to feel part of it with dynamic and active roles, but if you only try to control them and manipulate them by treating them just like another ordinary consumer, sooner or later, they will leave, and all the time they spent with you, will be someone else’s advantage, maybe your competitor. Flickr for example has been qualified as beta for several years. 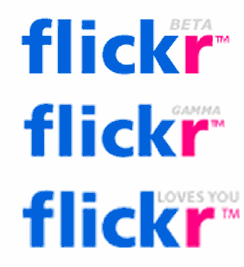 In its website, Flickr states that it “continues to evolve in myriad ways, all of which are designed to make it easier and better” and for them to organise what service will be the next released service their approach was through creating communities of users that evaluated and proposed new user requirements based on their behavior. And as I have noticed also from the rest, this ultimately has become more of a business practice rather than a software practice. Remarkably with his “Perpetual Beta” not only has O’Reilly proven me wrong that the open source dictum of “release early and release often” is just a part of what I used to think as cynical marketing tactics, he also made me understand that today’s world of ubiquitous computing is fueled by ever-changing innovation and constant iteration. Quite honestly, for me this was one of the hardest topics to examine with among the 8 patterns of what Web 2.0 is as described by Tim O’Reilly. So what does he mean exactly by “Software above the Level of a Single Device”? When I was handed in with a Nokia E71 phone as a gift last year, I was quite happy as finally I got a phone that’s compatible to Mail for Exchange functionality as compared to my previous phones that had limited or even zero internet connectivity (so just imagine how late I was in terms of owning hi-tech gadgets compared to you). And before I even become unfathomable myself, let me explain that a Mail for Exchange is a software that allows you to use the email, calendar, contacts (address book), and tasks (To-Do items) of your Microsoft Exchange account on your mobile phone. Now it can only get better, as through the process of synchronization I can now keep the entries on my mobile phone identical to the entries on my Windows Live Mail, or any Web-based e-mail service for that matter. Whilst I was excited to explore my new phone last year, I surfed over to the Nokia website to check out the latest developments related to my new device—and voila! I stumbled upon a web application that makes it just practically a heartbeat interval to improve connectivity and/or battery life of my phone. Ovi, which also means “door” in the Finnish language, is the brand for Nokia’s Internet services. The Ovi services can be used from a mobile device, computer (through Nokia Ovi Suite) or via the web at Ovi.com. Without hesitation, I right away installed the application on my E71 and as you might expect it provides me complete access to the contents of my mobile phone via the web. Consequently, I can now organize and share my photos, contact details (which are very important to me), or calendar events between my desktop PC and my handset. Needless to say, I just love the idea of also using my desktop web browser to browse those said contents from my E71– unsuspectingly identical to what O’Reilly remarks when he observes that you can control your iPod from an iMac. More over, just a day after my birthday this year (another gift perhaps) on the 11th of May, the Ovi Community Manager just announced that on that day forwards Ovi brings public transport directions to maps.ovi.com, along with walk and drive Directions. They are debuting the service currently for New York City, but will be covering more locations and countries in the future. And that my friends, “opened the doors” for me and started to get me thinking why Tim O’Reilly coined such similar behavior as “software above the level of a single device” — and boy was he right! Rich User Experience: It’s ‘Scriptaculous’! Nowadays, the popularity of Web 2.0 just sprouts like mushrooms and may very well be seen as, let me personally put it, “Doomsday” of your desktop applications. An apocalyptic vision of the future of your desktop applications, as much of a moviegoer that I am, I also would not want to give you the wrong impression that this evolution of Web 2.0 application is metaphorical of the example I gave that had some sort of a dreaded Reaper virus violently resurfacing in London City, as depicted in the movie. No-nonsense, let’s face it Web 2.0 is the way to go! Now to give you a perfect example (no more movies please! ), Flickr and Gmail are popular nowadays and are easy to use, web-based applications intended for the viewing, creation, and sharing of data and media. They both make the use of semantic markup – programming that describes content (XHTML) and Cascading Style Sheets (CSS) to add to the visual appeal, and other several technologies. Hence, combining all those powerful tools becomes AJAX—not the popular bleach I grew up with in my mother’s laundry back in the Philippines—but yes I’d prefer to say it that way still because if your codebase is ‘dirty’ then you might as well use that to clean it. The reasoning behind is that the dirtier your codes (messy) are, the harder to maintain them. your web sites and web applications fly. Big companies like NASA, Apple, CNN, Gucci and many others use Script.aculo.us to provide attractive visual effects. It is open-source and just run its operation in the web without having to use certain desktop software to create an interactive animation for example the use of Adobe Director, without sacrificing rich interactivity, high user engagement, and fast performance. Seriously, if you are trying to start designing a website Script.aculo.us does have tutorials and what you have to look for are the measurable benefits that you reap at the end of the day. And if you are a company, return on investment (ROI) can be measured by the cost savings at the infrastructure level, productivity improvements and IT support. 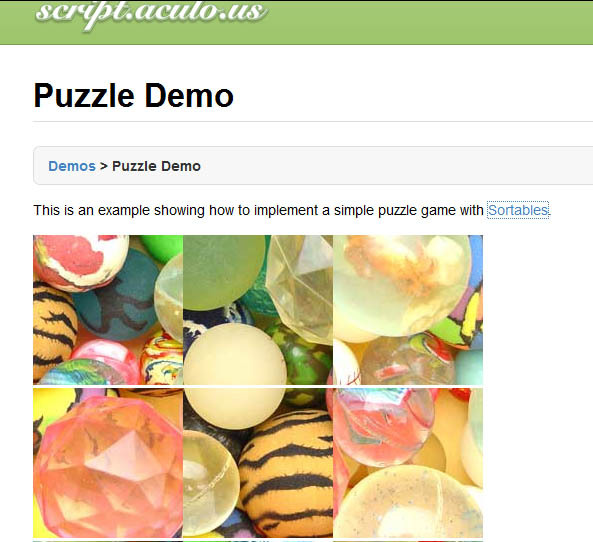 It’s unbelievably Script.aculo.us! Isn’t it? Lately, I was having some problems driving traffic to my blog. Like anybody who authors some kind of literary piece—either for artistic, entertainment or academic purposes—you would want to have a lively interaction with your audience. Well, depending on what you write about say food, travel, personalities, music among others, it’s your call as to how nicely and innovative you spice up your literary concoction. You would either resort to telling your friends by word of mouth, higher your page ranking through responsibly adhering to search engine optimization (SEO) tips and who knows how. Well for me, I’ve just found a perfect Web 2.0 application that is tailored fit for the job. The amazing delvr.it does it all for you! Besides coming up with hopefully a juicy, non-nerdy (I won’t confess yet that I am a nerd) blog, I will have to say my solution is dlvr.it, it is an easy way to syndicate your blog or even marketing brands whether big or small. Since as BLOGGERS our aim is to expand the line of sight of our READERS in terms of factual information and for us, the former, to expand our reach to the latter into new channels and the popular social networks. dlvr.it’s tools definitely make it handy for us to manage and quantify the stream of your literary pieces no matter wherever in the globe your readers are from. This Oakland, California-based application works by getting your blog from an RSS feed or whatever content have you then distributing it to enormous amount of audiences through popular social networking sites and I bet you, yes Facebook and Twitter included. Well I just tried it for myself, it is relatively easy to customize or manage and most importantly fast to set up. Whatever you think works best for your readers, you have the option of course to kind of fine tuning them. Like just what I did, I took the uniform resource locator (URL) of my personal blog as the source or one can try several sources for that matter (not necessarily blogs) then will be distributed to various streams you desire either Facebook, Tumblr, Twitter, among others. Better yet, a singular source can be delivered to several destinations and vice versa. Simply, once you sign up, you select a feed as an input, and then you select where you want to deliver that feed as an output. Better than your Dashboard sometimes, the application can permit you to check and exactly monitor the span and reach of your blog or whatever content across the social Web without borders. For marketers of businesses and yes bloggers, you can ultimately get an impression of the impact of mentions or retweets to verify who is consuming your content and you’re able to know anything of their geographic locations. Not only that, dlvr.it can schedule posts for future delivery. 1. Sign up for a dlvr.it account. From the Settings tab, select and save your time zone. All scheduled posts will be made on the times and days in your selected time zone. From the Post tab write your post, select where it will deliver to, set the date and time and click post. Similar to Yahoo Pipes, the workflow goes there like you fill out the form, set number of updates per channel, after publishing then all at once your content real time can all be pushed out whilst making use of PuSH protocol. What is even easier is that dlvr.it has its own short URL and alternatively supporting bit.ly. Meanwhile, in Twitter based on pre-existing category tags it can append auto-hashtags to your Twitter feeds. The success of this particular concept of dlvr.it to integrate together the services like “share” or “retweet” in blogs, or whatever content, revolves around the concept of Tim O’Reilly’s web 2.0 principle—“Innovation in Assembly”. Truly, it’s all about snapping together existing services. Such assembly makes relaying or broadcasting of blogs widely reach a massive audience. Hence, “getting better at harnessing and integrating services” provided by Facebook, Twitter, Tumblr and among others. As Reilly appropriately puts it, “When commodity components are abundant, you can create value simply by assembling them in novel or effective ways”, so we now have a clear understanding of Web 2.0’s mindset about re-use without, of course, the need to reinvent the wheel. So if you are having the same problem as I had before start syndicating blog posts to Twitter and Facebook, or any social network to increase traffic to your site. You might want to dlvr.it now! On the 5th of March 2011, I was appointed as a Brisbane International Student Ambassador for the Philippines. My relatives from back home informed me via Facebook that my appointment here in Australia generated some publicity mileage around the Filipino readership or at least in the province of Negros Oriental where I hail from. Excited about what’s in the news, as I’ve rarely even seen the word Xavier in any periodical (probably because it’s not even a usual name), I then decided to grasps on ways on getting at least someone to get me a scanned copy of that newspaper then have it emailed to me. Adamant in my belief that if it is published then chances are, there might be copies online so I tried to Google about it hoping that the search giant would at least return me some results. Anyway this is not the story of my life here in Brisbane right? But about how much web applications have revolutionized the internet in terms of management of data in the manner that they are now being properly stored, organized, and shared. Hence, we tend to question now who actually owns them once they go through the spectrum of the Web 2.0 world. Yes, Google did return me some results but lead me to an interesting Web 2.0 application, YUDU Library, wherein a news staff of The Dumaguete MetroPost might have managed to put online an issue so luckily I don’t need to ask someone to grab me a copy of an actual one. YUDU is an online library to read and explore. Some people simply go to YUDU to explore the huge library of digital content and read digital magazines, eBooks and other publications of interests. As we know, there are over one million publications read each month and new items being published every day from page-turning digital publications to music, podcasts, photos and more. As a free publishing tool, YUDU allows users to upload PDF, Word & Powerpoint files to convert all brochures, magazines, newsletters and more into rich, interactive digital editions. Publications can be made private; password protected for selected readers; or public, to share with the world. And what makes YUDU more like a one-stop shop is that one can also upload music and photos so you can store & organise all your favourite digital content in one place. It can be comparable to another Web 2.0 Application, Scribd, as it allows you to publish documents in a rather interactive, page-turning digital format and host them online at no cost at all. While Scribd does have a leg up on YUDU when it comes to the logging in being synced to Facebook, there is something to be said for having another solid option to have your document converted to HTML codes thereby allowing the user to embed the publication on their respective blog or website as a Flash-based with that neat page turning effect. So anyone can now make professional digital publications! Using YUDU Library in action, you can view my hometown’s local publication where I was profiled by simply clicking on the image below. As YUDU wants their users all over the world to enjoy this interactive, online reading experience, they have stated on their website, “We do not allow offensive material, adult content or copyright abuse. Please let us know if this publication is not YUDU-friendly.” Very clearly, they have also placed an icon for the readers to report abuse on each and every publication. On that note, I think this is a great policy to take ownership of your own data and it makes YUDU a better place for online document publishing for teachers and students alike. That ability of collecting data and controlling data should rest on the shoulders of the users. As they understand that data is the most important aspect in building a Web 2.0 application, developers of such strive hard to limit open data as strategic and core assets.